Regular sufferers of foot and heel pain have been through the drill of rehabilitation many times before: regular stretching, icing the swollen area, massages, and oral anti-inflammatory pills. Pain in the heels happens to most of us eventually—it’s one of the most common ailments affecting American adults, with perhaps as much as 75 percent of the population experiencing it on at least some level at least once in their lives. For some, it’s due to frequent running or intense athletic activity. For others, just the opposite—maybe we’re out of shape, or overweight, and putting too much force on feet and ankles that just aren’t strong enough. 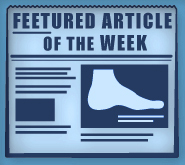 Did you know, though, that laser therapy for foot pain has emerged as a potential solution to these common aches? At Foot Doctor of the East Bay, we have a state-of-the-art MLS laser therapy system and can evaluate your condition to determine if you’re a candidate for this exciting treatment option. The device uses a beam of light that penetrates deep into the skin’s soft tissues. There, it stimulates cellular reactions to produce a wide variety of benefits. It accelerates the body’s natural healing process by attracting water, nutrients, and blood flow to the spot of application. This reduces pain, inflammation, and can even help close wounds faster and restore nerve functioning. When combined with traditional rehabilitation methods, laser therapy for foot pain can provide long-sought-after relief much faster than ever before. The procedure lasts only about five minutes per session and is totally painless and non-invasive—it isn’t a cutting laser; it’s just a beam of light. This is not surgery and will not cause any scarring. If you’re like most people, you’ll notice significant improvements in your foot and heel pain after just a couple of sessions, and total relief after six to eight five-minute appointments. For some, though, the improvement comes even faster, perhaps after even a single session. If you suffer from plantar fasciitis, tendonitis, bursitis, or any number of foot, heel, or ankle conditions that produce pain or swelling, call Foot Doctor of the East Bay to schedule an appointment. Our experts Dr. Michael Stein and Zeindelin Ahmad, DPM will provide a thorough examination to determine the root cause of your symptoms. If the pain is really intense, we might suggest orthotics to provide more walking and standing support for the feet, custom boots to wear at night to stretch the plantar fascia, or cortisone shots directly into the affected area. If the pain doesn’t go away, that’s when we can talk about whether or not laser therapy for foot pain is right for you. We are the East Bay’s leading provider of podiatric care and we make it our mission to get you back on your feet as soon as possible. You can reach us at one of our three convenient offices. Dial (510) 483-3390 for San Leandro, (925) 425-9684 for Pleasanton, or (408) 356-6767 for Los Gatos. You can also follow us on Facebook, Twitter, Google+, and Pinterest for handy foot care tips and up-to-date news and information.